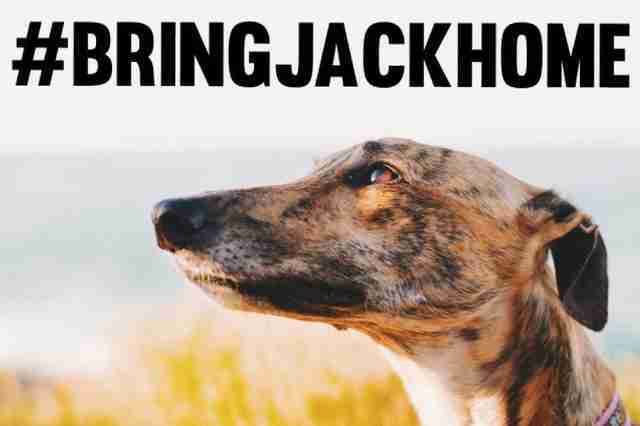 It's a race against time to save Jack, the brother of a beloved rescued greyhound named Millie - and Nora Anderson Dieppe isn't giving up. At just 3 years old, Jack is racing at one of the most infamous tracks in the world: the Canidrome, a brutal course in Macau (in southeastern China) that holds 700 greyhounds and euthanizes about 30 each month for not performing well, Dieppe told The Dodo. If Jack loses more than five races in a row, he'll be euthanized. Jack's siblings have enjoyed better luck than he has. "Millie was rescued at 11 weeks, by myself and my husband, here in Sydney, Australia," Dieppe said. "Due to an injured paw, she now wears a prosthetic." "When I collected Millie from the breeding facility, I saw all of her siblings with her and Jack was there," Dieppe said. "I remember looking at each one of them individually and apologizing to them silently for not being able to take them too." In December 2014, Dieppe heard that Jack was on the waiting list to go to a rescue organization. But in November 2015, Dieppe was told that Jack had been sold for $500 by his trainer, and he went to the dreaded Canidrome, which holds 18 cutthroat races a week. So, Dieppe and Millie started the Bring Jack Home campaign, which has raised awareness for not just Jack, but racing greyhounds everywhere. Every year, in Australia alone, an estimated 18,000 healthy greyhounds are killed because they don't run fast enough. In the U.S., where there are still over 20 greyhound racing tracks in operation, the numbers are hard to track, but the ASPCA compiled some numbers from 2008 to 2015, during which there were 11,722 greyhound injuries and 909 deaths. "The true number of deaths is likely higher as there are no verifiable statistics on the ultimate fate of Greyhounds who survive racing but are disposed of each year when injured or no longer competitive," the ASPCA wrote. But there are things you can do right now to help greyhounds. Even just sharing the sad fate of many racing greyhounds with your family and friends can help their plight, Dieppe said. As for Jack, Dieppe isn't giving up. "The track has released between three to six greyhounds," she said, "giving us a small ray of hope that we will be able to bring Jack home." 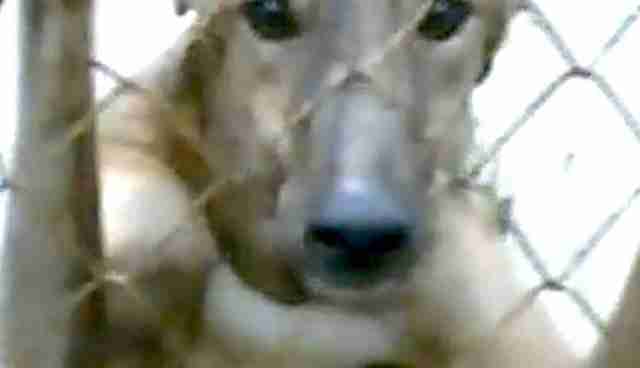 Click here to sign a petition calling for the Canidrome to get shut down. You can also write to the Macau Tourism Authority and ask it to consider supporting the campaign to close the track: mgto@macautourism.gov.mo Sign the ANIMA adoption application to register your interest in adopting a greyhound from the track.